"I firmly believe in the benefits of Constitutional Monarchy in Serbia. We need stability, unity and continuity. Arguments in favor of that can be seen everywhere. Look around you, and if you were hoping and fighting for that, then you are a happy person, and I congratulate you on that! But, look again, and see how many other people feel the same way! I am afraid that you won’t see much of them. If you believe that Republic is cheaper than Constitutional Monarchy, make another calculation. 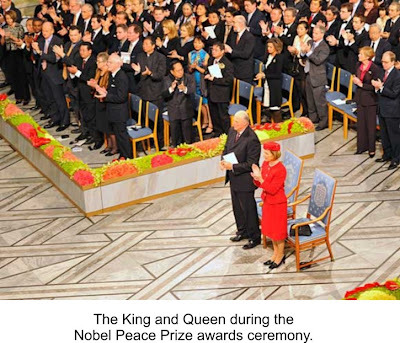 If you believe that a citizen makes a greater influence in a Republic than in a Constitutional Parliamentary Monarchy, reconsider what polity is present in Sweden, Norway, Denmark, Belgium, Netherlands, Luxemburg, Spain, Japan, Australia, Canada, New Zealand …"
Liu Xiaobo was awarded the Nobel Peace Prize for his long and non-violent struggle for fundamental human rights in China. Liu Xiaobo is currently in confinement in China and was unable to accept the award in person. Nor were any of his close relatives able to be present to receive the award on his behalf. The laureate was therefore represented by an empty chair on the dais. Singer Marita Kvarving Søberg opened the ceremony with an interpretation of “Solveig’s Song” by Edvard Grieg, accompanied by pianist Håvard Gimse. Mr Jagland concluded his speech with a symbolic presentation of the award by placing the Nobel Peace Prize medal and diploma on the empty chair which Liu Xiaobo would have occupied. Mr Jagland’s speech was followed by a performance by Chinese-American violinist Lynn Chang. Actress Liv Ullmann read the speech Liu Xiaobo gave in his defence at his trial on 23 September 2009 – “I Have No Enemies”. 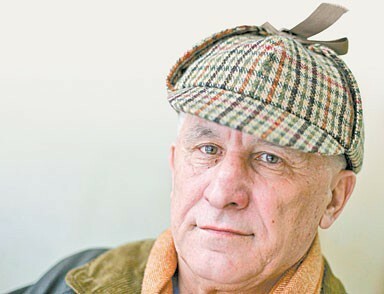 Two days after the trial he was sentenced to 11 years in prison. The ceremony concluded with traditional Norwegian songs sung by the children’s choir of the Norwegian National Opera and Ballet. On the evening of 10 December, King Harald and Queen Sonja attended the traditional Nobel Banquet at the Grand Hotel in Oslo in honour of the laureate. 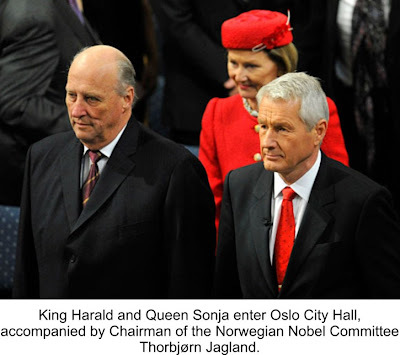 Their Majesties also attended the annual Nobel Peace Prize Concert held at Oslo Spektrum on 11 December. Does Serbia have an “ace up its sleeve”? Serbia might need to turn to another avenue that they have to recover from the financial crisis and enter the European Union sooner- Constitutional Monarchy. Certainly the return of constitutional monarchy after almost 70 years would attract media attention and without a doubt erase Serbia’s image of war and replace with a more elegant picture. And what about the European Union? Let’s not forget that almost half of the initial participant countries in the European Union were Constitutional Monarchies. 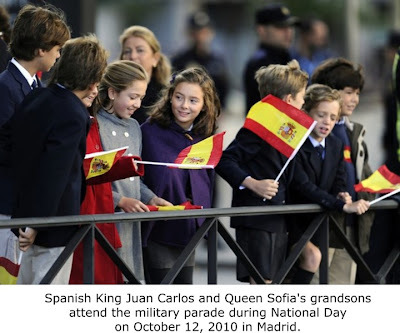 One quarter of European countries are constitutional monarchies today, out of 27 countries in the European Union, Belgium, Denmark, Luxembourg, the Netherlands, Spain, Sweden and the United Kingdom are. Do constitutional monarchies lead to better lives? In fact 5 out of 10 richest countries in Europe are Constitutional Monarchies. According to reports, Luxembourg is the richest country in Europe. It possesses the highest GDP of $ 81,730 per capita when measured on purchasing power parity followed by Norway: Norwegians enjoy the second highest GDP per capita (PPP) in Europe having $ 55,198. The Netherlands has the 16th largest economy in the world, and ranks 10th in GDP (nominal) per capita; GDP (purchasing power parity) of Netherlands is $ 40,433. Denmark is the eight richest countries in Europe with GDP (PPP) $ 38,207 per capita and Sweden is ninth richest country of Europe having $ 37,525 GDP (Purchasing power parity) per capita. Forbes ranked the best countries to live in 2008 and the list again shows the constitutional monarchy countries of Norway, ranked No. 1, scoring 82% while Sweden was not far behind posting a score of 81.4%. Other monarch countries in the top 10 include New Zealand (79%), Denmark (75%) and the Netherlands (74%). Why Constitutional Monarchy? Why Tradition? 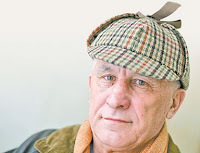 Is there an advantage to have a head that has no political affiliations? Who is there to provide unity, continuity and peace? Does monarchy help with lowering corruption? The 2010 Corruption Perceptions Index shows that nearly three quarters of the 178 countries in the index score below five, on a scale from 10 (highly clean) to 0 (highly corrupt). The 12 out of the top 20 which had scores above 7.5 are monarchies and include Denmark, New Zealand, Sweden, Canada, Netherlands, Barbados, Australia, Norway, Luxembourg, Japan, Qatar and the United Kingdom. Serbia ranked 78th with a score of 3.5. These monarchies in Europe are Constitutional Monarchies provide unity, continuity and peace not political interference. Will having Constitutional Monarchy in Serbia influence the European Union? Certainly it could not hurt. Does it mean anything that the European Union is located in a country that has a Constitutional Monarchy? In fact, there is no doubt that the image of monarchy creates money. Overseas tourists flocking to sites linked to the British royals is generating around 500 million pounds a year, reveals research from VisitBritain. A United Nations 2009 human development report ranking 187 countries shows that 6 out of the top ten are monarchies. Norway, Australia, Canada, Netherlands, Sweden, Japan. Actually, if you look at the Annual report on the Quality of Life in different countries, you will notice that more than half of the countries in the first 10 are Monarchies (UK, Sweden, Norway, the Netherlands, Denmark, Spain, Belgium, etc. ).So believe it or not, life could actually better under Constitutional Monarchies. So what’s the negative? Will Serbia accept more charitable contributions, more possibilities to enter the European Union, an elegant image, gracious hosts, business people from all over the world gracing the steps of the Palaces, and promotion of Serbia throughout the world? Many Serbs support this notion, and other Serbs relish on all the benefits it brings. “There will be only good benefits, and I don’t see that there will be any more strain on the country.” said Jelena Tasic a student in Belgrade. 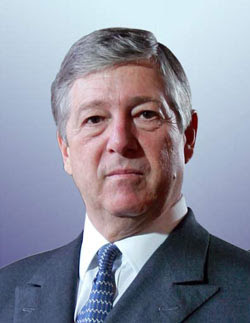 But would Crown Prince Alexander continue to commit to dedicating his life to Serbia with the endless hours of work associated? The answer is yes; even with all of this he'd be happy to take the throne. 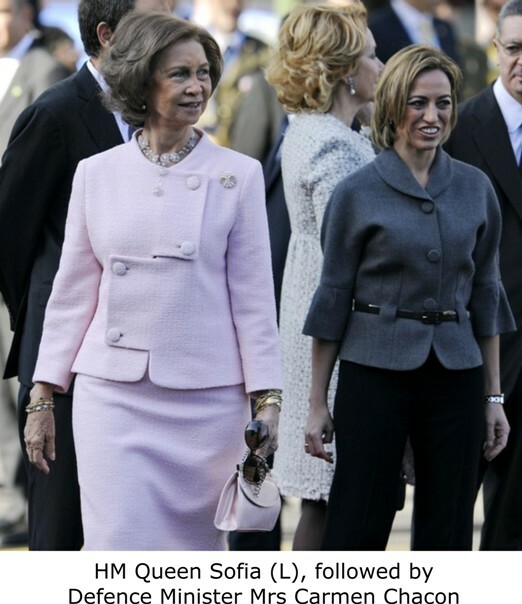 A typical day for the Crown Prince Alexander and Crown Princess Katherine range from the charitable to investor promotion to international public relations for S erbia. Crown Prince Alexander is bringing investors, educational scholarships, and important VIP’s from all over the world each and every month. Crown Princess Katherine has saved many lives, provided millions in aid and support. The couple continually travels throughout the world meeting heads of states, top business people and the media for their quest to help Serbia and the Serbian people. All this attributes to tens of millions a year in support for Serbia. 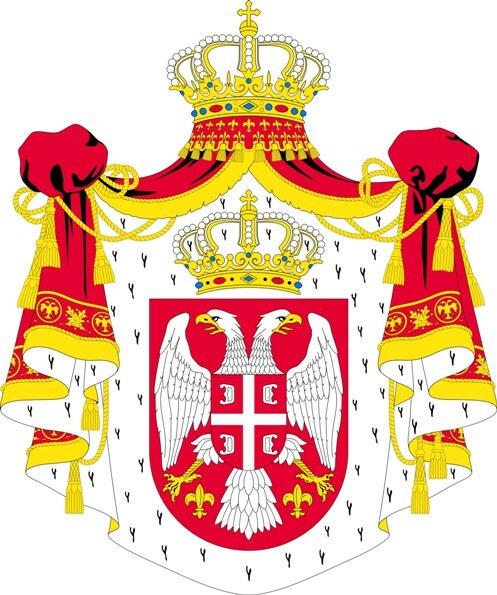 There is even a Monarchy for Serbia group that has reared up recently in the country with tens of thousands of members. 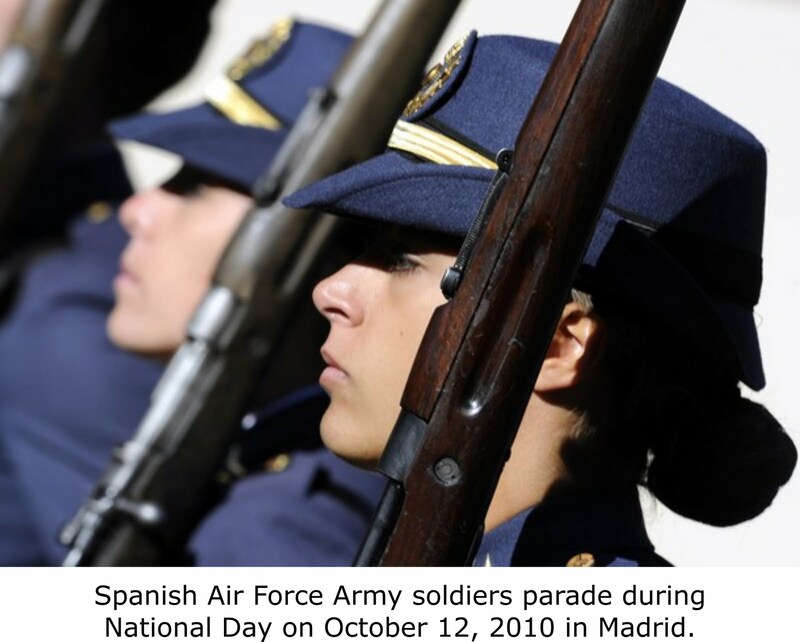 Spanish air force planes and helicopters flew in formation across Madrid for the annual Oct. 12 national holiday, this year marked by cutbacks. Thousands of people lined the sidewalks to watch Tuesday's military procession of troops and tanks held to celebrate Hispanic Day. It commemorates Christopher Columbus' arrival in the New World and is also armed forces day. 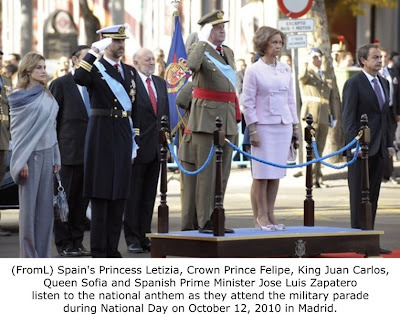 Some 3,000 Spanish soldiers took part in the parade presided over by TM King Juan Carlos and Queen Sofia down the city's Paseo de la Castellana - 1,000 fewer than last year. 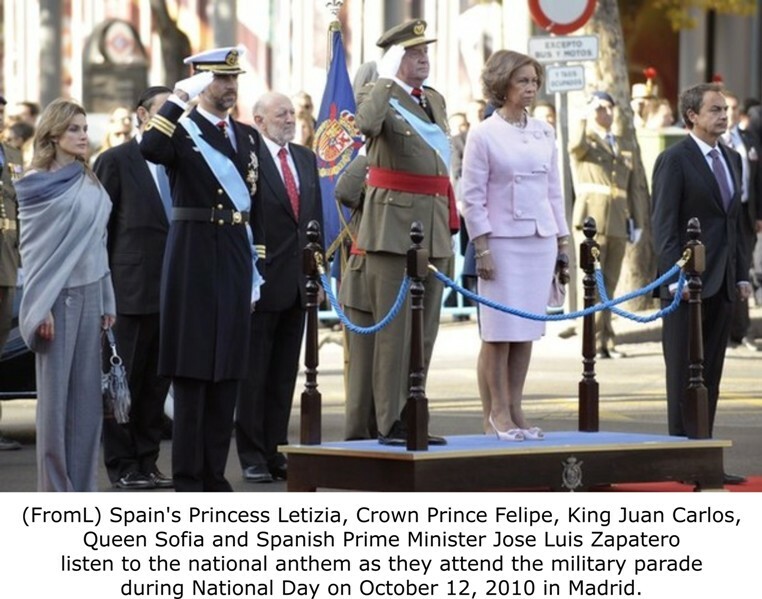 Spain's economic crisis over the past two years has seen the parade reduced in size by some 20 percent. Air force jets flying overhead spewed out plumes of red and yellow smoke in the shape of the Spanish flag. Icelandic rock star Bjork and Italian composer Ennio Morricone have received the 2010 Polar Music Prize from Sweden's King Carl XVI Gustaf. The musicians accepted their awards at a glitzy ceremony in Stockholm Concert Hall last Monday. Each award is worth 1 million kronor ($136,000). 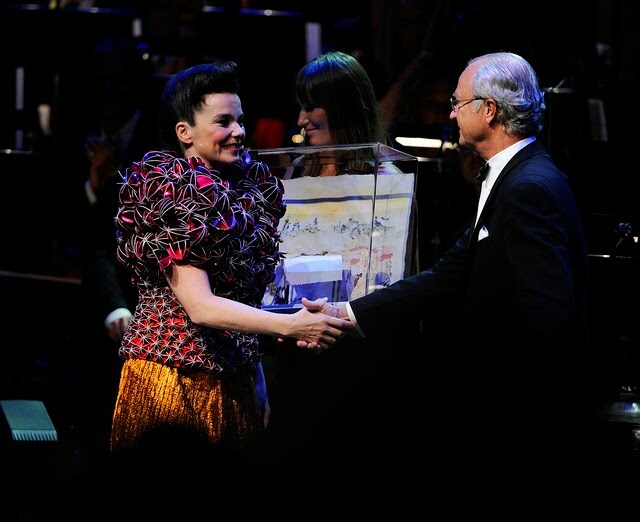 Bjork said she was honored to receive the prize and that it tickled her vanity to be mentioned together with previous laureates such as rock band Pink Floyd and singer Joni Mitchell. The Polar Music Prize is typically shared each year by a pop artist and a classical musician. It was founded by the manager of Sweden's legendary pop group ABBA, Stig Anderson, in 1989. Crown Princess Victoria and Prince Daniel attended the awards ceremony as well.